Lauren Philpott (left) with colleagues at Darent Valley Hospital in Kent. When children’s nurse Lauren Philpott found herself struggling with some aspects of work, she searched for resources that might help her, but found very little. ‘I thought maybe I should write about it,’ says Ms Philpott. So began her book, Being a Nurse: a personal guide from graduation to revalidation, published on 29 June. 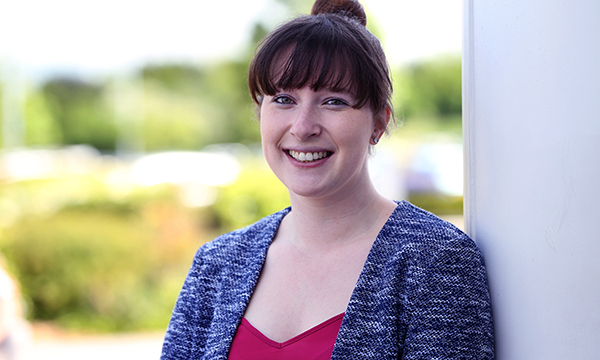 ‘Work felt stressful and busy and things got on top of me,’ recalls Ms Philpott, who trained at the University of South Wales, graduating in 2014. Ms Philpott started writing in her spare time barely 18 months ago, publishing reviews of shows she’s seen, after a friend suggested she blog about her interest in the theatre. ‘I realised then how much I enjoy it,’ she says. Writing a book about her nursing experiences felt like a natural progression. After approaching three or four publishers with a proposal she was offered a contract last autumn by Lantern Publishing, which specialises in books about nursing, health and social care. ‘I emailed them and heard back about three hours later that they wanted it,’ says Ms Philpott, who works at Darent Valley Hospital in Dartford, Kent. ‘It happened quickly and was very exciting. I was jumping around screaming when I heard. But then it hit me that I had to buckle down and start writing it, as I only had six months to get it finished by their deadline. Full of personal accounts of her own and others’ experiences, the book is divided into eight chapters that take readers from the first few months as a newly qualified nurse to revalidating for the first time after three years’ practice. Expect the unexpected, says Ms Philpott, as the most challenging days can also be the most rewarding. ‘I recently worked a shift that was extremely busy, with each of my patients requiring a slightly higher level of care than usual,’ she says. ‘At the end of the shift, although I was exhausted, I felt happy and came home smiling. This can sometimes be unusual for me – mainly because I get grumpy when I’m tired – but on this occasion every patient and parent that I was caring for was lovely, making it impossible for me to think I’d had a bad day. 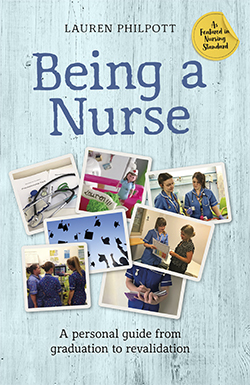 ‘Other books out there tend to look at the practical and clinical aspects of becoming a nurse,’ explains Ms Philpott. ‘But there’s nothing really personal, about how you might feel. Topics include how to make a good impression when you first start, teamwork, communication, building therapeutic relationships with patients, managing difficult situations such as breaking bad news or coping when a mistake occurs, how to recover from bad days, gaining confidence and learning on the job and achieving a work-life balance. She has also incorporated many of her own experiences, including a night shift that was her first time in charge of a ward. ‘A very poorly child was admitted. I’d never looked after someone that unwell before,’ says Ms Philpott. Having enjoyed the process of writing so much, Ms Philpott is now exploring other avenues, and starting an online course in fiction writing. She is also serialising her book as a blog and vlog. ‘My time is so filled with writing that when I’m not doing it I’m not sure what else to do,’ she says. Although her book is honest about the challenges, she hopes it will encourage readers to focus on the positive. ‘Look at the good and don’t focus on the bad,’ she says. ‘That’s a key theme. There will always be bad days, when you think “I’m not sure I want to keep doing this”. Caring for patients is the single most important thing we do at work and it is vital that we start, and maintain, trusting relationships with our patients and their families. The term ‘therapeutic relationship’ is commonly used when discussing the relationship between a patient and a healthcare professional. This relationship is one of mutual trust, respect and understanding, and is extremely beneficial to both parties. 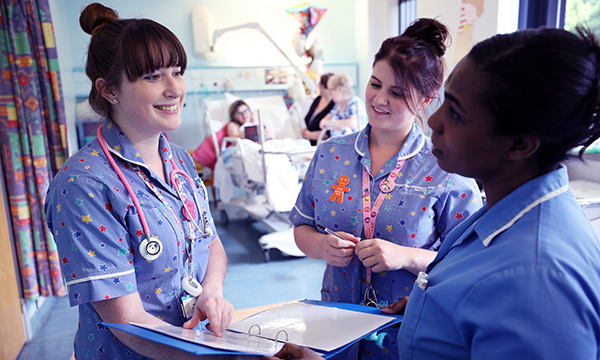 A commonly used term in children’s nursing is ‘family-centred care’. The principle is the same as a ‘therapeutic relationship’ but is applied to the family unit as a whole, rather than just the patient. Forming a relationship of trust with your patient and their family has many benefits, but it is important to maintain boundaries in these situations; there is a fine line between being friendly and being friends, which can sometimes be hard to distinguish. It’s great to have a good relationship with your patient and their family, but you must always remain professional. Knowing when you are close to the line can sometimes be difficult; what could be a normal conversation for one family might become too much information for another, so use your judgement of each family to decide on your own boundaries with them. As nurses, we have the unique and wonderful opportunity to build relationships with our patients, getting to know them and their families and having a positive impact on their lives. This is the most rewarding aspect of nursing; it provides patients with someone to talk to when there might be no one else, allows us to learn about their lives, and can even change our perspective about the world.